The Points & Miles Backpacker is a weekly column appearing every Monday. TPG contributor Brian Biros, who has backpacked the globe for the past 15 years, discusses how to fund this adventurous, budgeted and increasingly popular form of travel with points and miles. He’ll also explore all things backpacking-related. Read his story here and high-level approach here. French Polynesia is an overseas collectivity of France, and comprises more than 100 islands scattered across the eastern portion of the South Pacific. Tahiti is the largest island and home to the international airport (PPT) in its capital, Papeete, and the popular resort island of Moorea is just a short ferry ride away. Then there’s Bora Bora, the island most travelers imagine when they daydream about French Polynesia. These lush destinations, considered part of the Society Islands, may be the most famous in the archipelago. 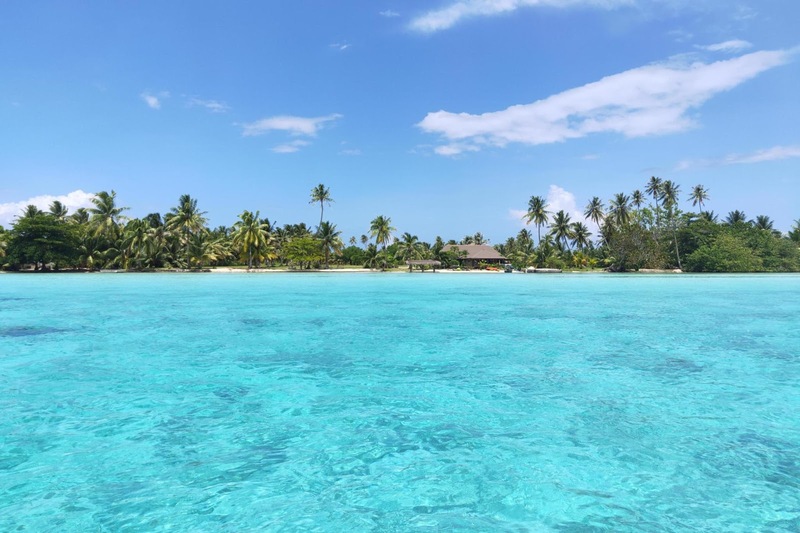 But there are other easily-accessible islands in the group, including Huahine, Raiatea and Maupiti, which have long been overshadowed by their celebrity siblings. Is this Tahiti, Moorea or Bora Bora? It’s actual Tahaa and Raiatea. Sure, you can redeem points for luxurious stays on Bora Bora and Moorea, but the other Society Islands offer a much more local experience — mainly because most of the people you meet there are, well, locals. You’ll trade overwater villas for mom and pop pensions (private guesthouses), and maybe even captain your own boat rental around a lagoon. The authentic, untouched isles of Huahine, Raiatea and Maupiti are the perfect complement — or even alternative — to French Polynesia’s touristy hot spots. Whether you want to extend your trip or skip the standard stops altogether, here’s why you shouldn’t overlook these islands. Raiatea is the historical center of ancient Polynesia. Its main temple complex, Taputapuātea marae, once welcomed chiefs from as far away as New Zealand. These days, Raiatea is largely overlooked by French Polynesia’s new visitors (read: tourists). Perhaps it’s the lack of prominent beaches on the mainland that never prompted major development, but there are plenty of reasons to visit this, and the neighboring island of Taha’a. 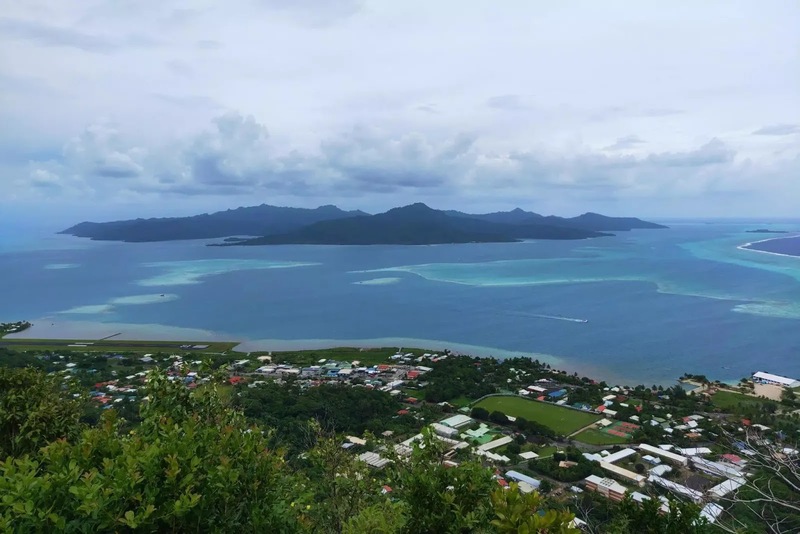 From the summit of Mount Tapioi, a steep 45-minute hike from the main town, Uturoa, travelers can enjoy panoramic views of northern and eastern Raiatea, Taha’a and the lagoon they share. If you’re here during the dry season, try the three waterfalls hike, too. Or you can rent a car and circle the island, where you’ll be treated to lagoon views on one side and cliffs streaked by waterfalls on the other. Raiatea boasts a landscape reminiscent of Jurassic Park. A ferry runs several times a day between Raiatea and Taha’a, and you can bring along a rented electric bike to tour Raiatea’s even less touristy neighbor. The best snorkeling you’ll find in the entire lagoon is west of Taha’a, off the Motu Tautau. 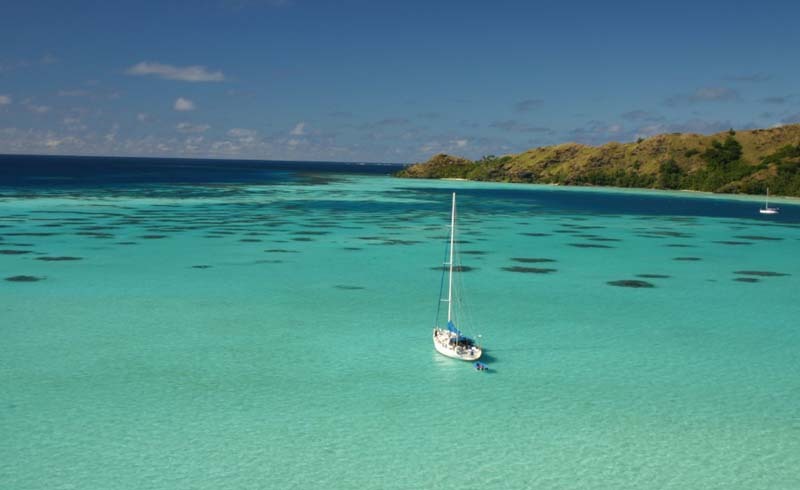 Another island where you’ll see far more residents than visitors is laid-back Huahine. Riding a bike through some streets here will attract curious stares from local kids. Family-run lodges, where the owners will pick you up from the airport and give you tips on how to maximize your island time, dominate Booking.com listings. Most of the main island can be explored by bicycle (don’t miss the abandoned, almost post-apocalyptic Sofitel and its overgrown but still beautiful beaches). 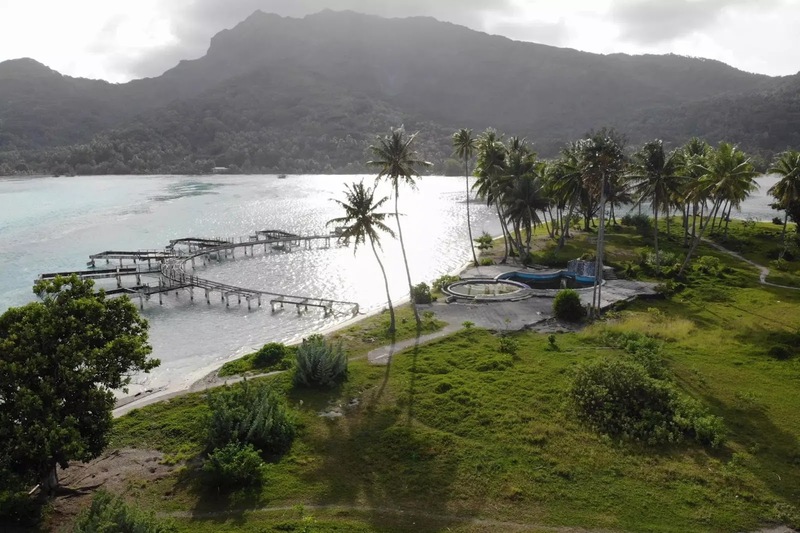 The skeleton of a pier is all that remains of the old Sofitel’s overwater bungalows. 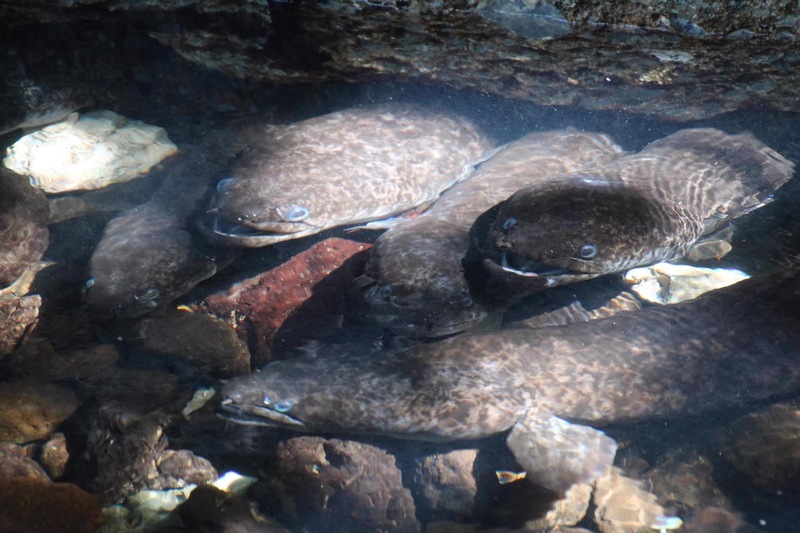 During your trip to Huahine, seek out the famous blue-eyed eels that live under a bridge in a shallow, clear riverbed and are believed by Polynesians to be the souls of their ancestors. Bring a can of sardines to lure them out of hiding — just as many tourists and locals have clearly done before, given their size. The lagoon, however, is just as deserving of your time. The local swimming coach, Jean-Luc, rents small motor boats out of a garage in the main town of Fare. He’ll toss in a cooler, a map and expert tips on the best snorkel, beach and picnic spots. An undeveloped motu made for a great picnic and snorkeling spot. Tell a French Polynesian you want to see Bora Bora, and they will smile and tell you to visit Maupiti instead. Basically a miniature version of Bora Bora before the resorts were developed, Maupiti still feels undiscovered. There are a smattering of cozy pensions where you can enjoy local fare, and borrow a bike or kayak to explore the island and lagoon. 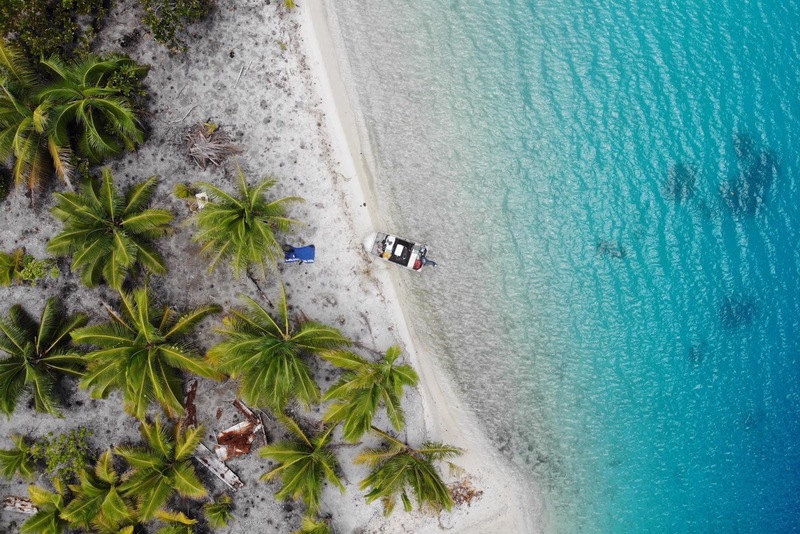 Only accessible by a few flights per week and the farthest west of the inhabited Society Islands, everyone here seems perfectly fine with the remoteness. Of all the gorgeous isles in French Polynesia, Tahiti is not where you want to spend the bulk of your trip. You’ll pass through Tahiti in transit, and you can certainly explore the island (and grab a food truck dinner in Papeete) during your stay, but don’t make the mistake of getting stuck here. Don’t make the mistake of staying in Tahiti and missing the lagoons on Huahine. Papeete is more accessible than ever, with new flight options on United from San Francisco (SFO) and Air Tahiti Nui from Los Angeles (LAX). 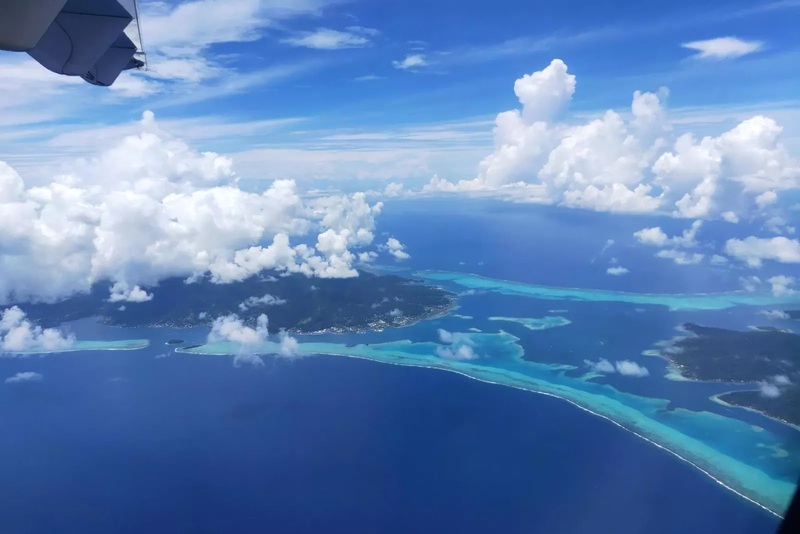 TPG’s editor-at-large, Zach Honig, and senior writer, Darren Murph, discuss how to get to French Polynesia in detail on TPG’s new Miles Away podcast. Once in Tahiti, there’s sadly just one way to reach the other islands by plane. Air Tahiti holds a monopoly on all flight routes within French Polynesia and, unlike Air Tahiti Nui, you cannot redeem partner awards on these flights. 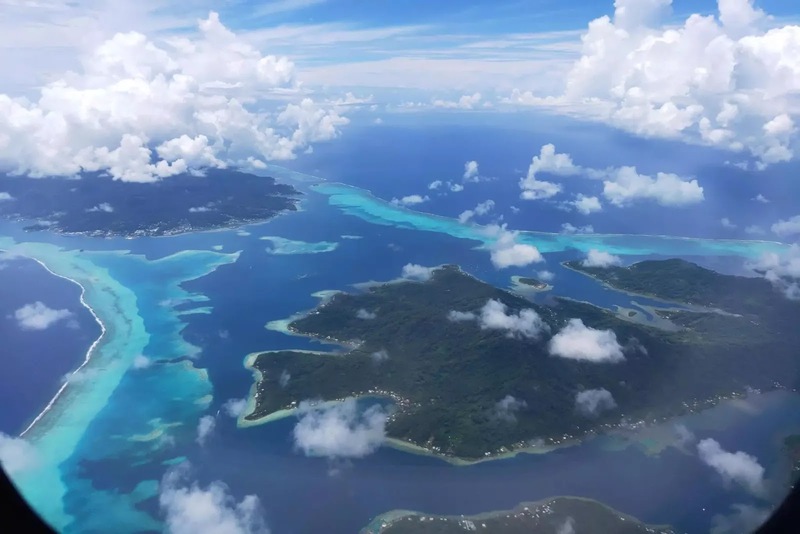 The 40-minute flight from Papeete to Bora Bora, for example, costs almost $400 round trip. You do, however, have another option. Airpasses are a favorite of mine, and Air Tahiti offers several airpasses that provide great value when visiting several islands. The “Bora Bora Pass” allows you to visit six Society Islands from €406 ($465). Also, because flights aren’t ever discounted, you won’t be penalized for booking last minute (unless the flights sell out, which can happen during the high season). I booked my Bora Bora Pass at the Air Tahiti office in Papeete the day before departure for just $413 — even cheaper than the price listed online. Note that airpasses are more expensive during high season, but just slightly. The best views of the Society Islands are on the left side for westbound flights (and right for eastbound). 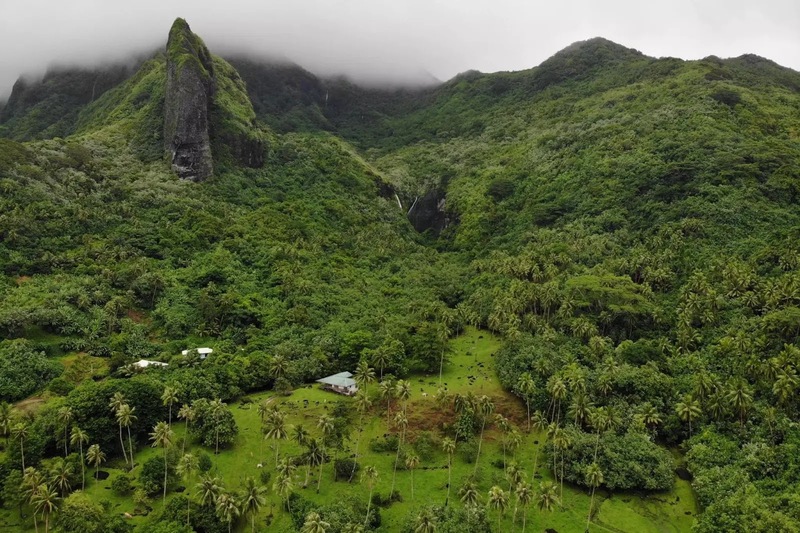 If you’re looking for an even more rugged budget option, the Hawiki Nui cargo ship carries a few passengers out to the Society Islands (except Maupiti) twice a week, but these spots get booked up a month or two in advance, usually by locals. 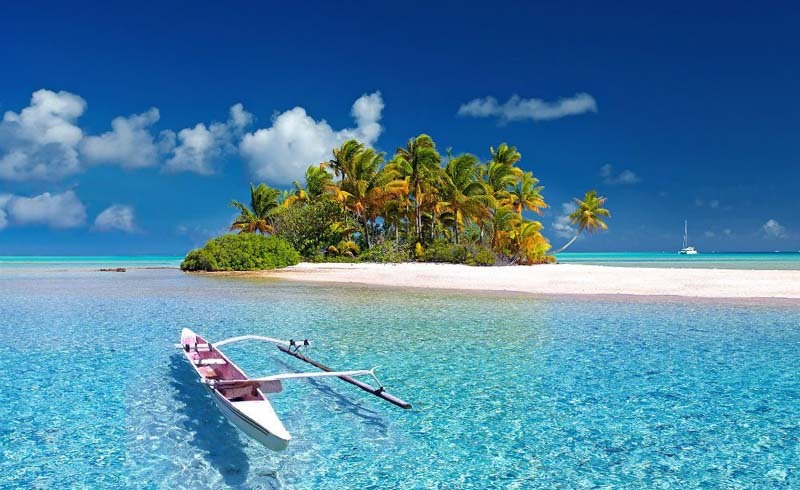 The abundant beauty of French Polynesia is well distributed across the country’s 118 islands. But just because the major resort brands have only focused their attention on a few of them doesn’t mean you have to. And the lesser-known Society Islands are just the start, as a journey to the Tuamotu, Marquesas or Austral Islands will find you in an even more pristine tropical paradise. The islands of Huahine, Raiatea and Maupiti remain the easiest and most economical add-ons to a traditional French Polynesian vacation. While Moorea and Bora Bora will undoubtedly leave you with a feeling of desperately wanting to return, the unsung Society Islands may feel like somewhere you could live.